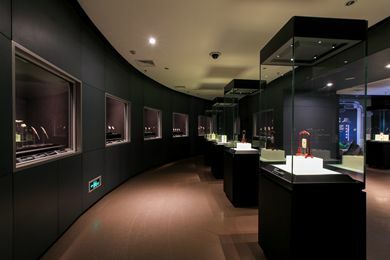 Unearthed jadeware dating from the Neolithic Age to the dynasties of the Tang (618-907) and Song (960-1279) in the Beijing area outline the development of jade culture in China. 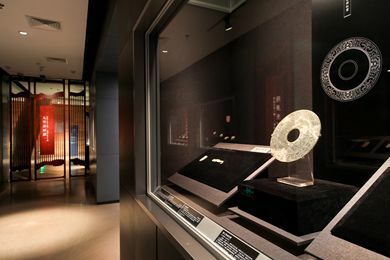 That of the Liao (916-1125) and Jin (1115-1234) eras displays the rugged and heroic character of the nomadic people who founded these two dynasties. 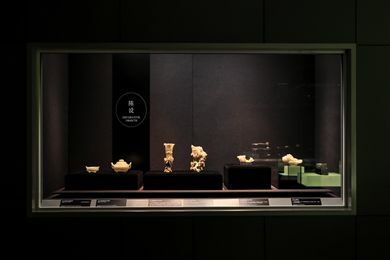 During following dynasties of the Yuan (1271-1368), Ming (1368-1644) and Qing (1644-1911), Beijing jadeware mainly was used for furnishing and ornamental purposes. 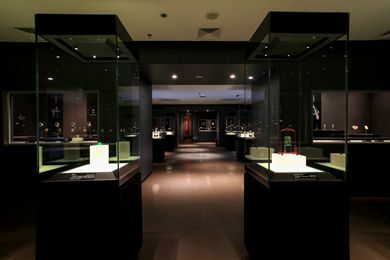 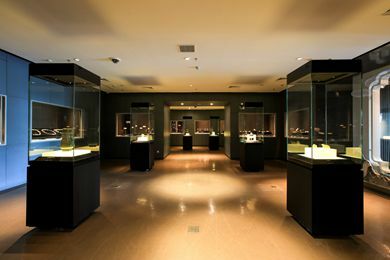 In the Qing Dynasty, however, development of the Beijing jade culture reached new heights. 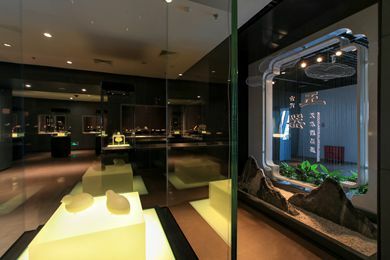 The Neolithic Age saw the incubation stage of the Chinese Jade. 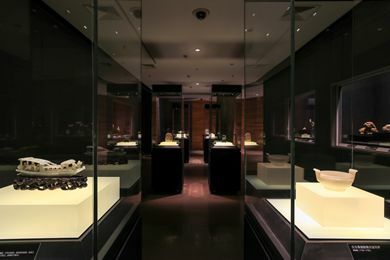 The Xia Dynasty (21st to 16th century BCE), the Shang (16th to mid 11th century BCE) and Western Zhou (Mid 11th century to 771 BCE) formed the growth stage when jadeware acquired deep religious and ritual connotations. 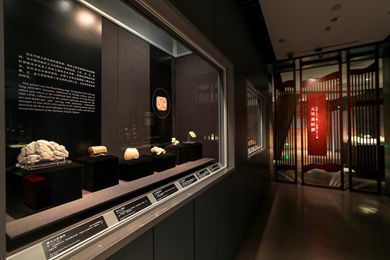 The Eastern Zhou Dynasty (770-221 BCE) was a transitional era. 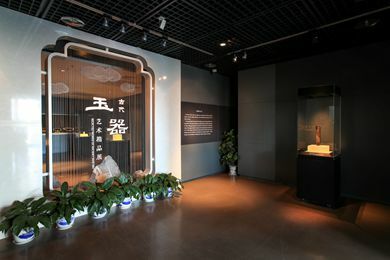 The period of the Qin (221-207 BCE), Han (206 BCE-220 CE), Wei (220-265), Jin (265-420) and Northern and Southern Dynasties (420-589) together formed a development stage when jadeware gradually became secularized.